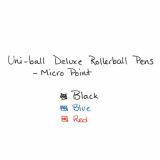 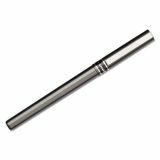 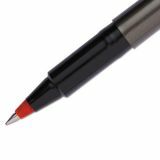 uni-ball Deluxe Stick Roller Ball Pen, Micro 0.5mm, Red Ink, Metallic Gray Barrel, Dozen - Deluxe rollerball pens feature a metallic-look barrel and a rollerball point that writes smoothly at any angle with skipping. 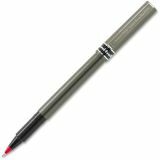 Water-resistant, fade-resistant, pigmented, nonfading liquid ink. 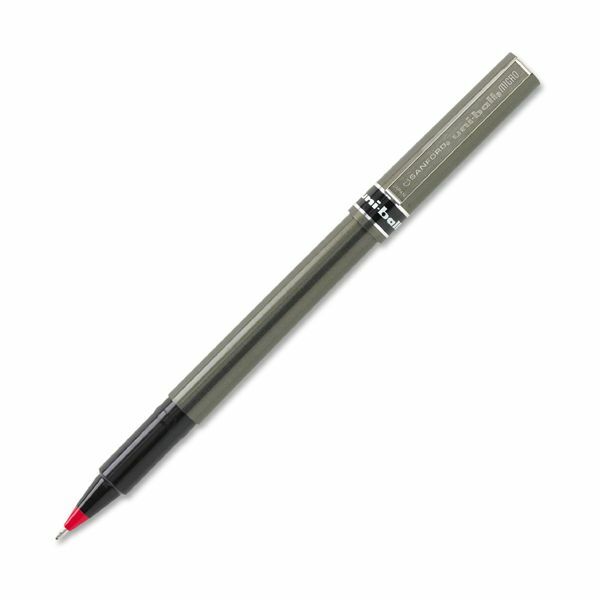 Nonrefillable.